If you or a loved one have been impacted by the Thomas Fire or the ensuing mudslides, you need legal counsel. The lawyers at Walkup, Melodia, Kelly & Schoenberger are working with our partners in wildfire litigation, Cotchett, Pitre and McCarthy, and Panish Shea and Boyle, to represent clients from with personal injury, wrongful death and property loss claims for citizens in Santa Barbara and Venture counties. We are working with the heirs of people killed in the mud slides; farmers and ranchers who lost cattle, sheep, farm land, orchards, crops and viable businesses. We are helping avocado and citrus farmers who lost family farms and generations of investment. It is recommended that all victims and to a qualified professional to determine their rights to compensation because of the fire. Further, if you been impacted by the Thomas Fire, document all of your expenses since the fire, including medical bills, lodging and all additional costs incurred due to relocation. Track all damage to real property and personal property through a diary and photographs. If you have not yet contacted your insurance company, do so as soon as possible. For a free consultation or if you have any questions, we welcome your call to this office. Call us now or contact us via email and talk to a lawyer without any obligation. The Thomas Fire is the largest fire in California’s modern recorded history. The blaze originated as two separate fires, with the first fire igniting on December 4, 2017 at 6:26 p.m. in Santa Paula Canyon, near Thomas Aquinas College, while the second fire started about 30 minutes later, nearly 4 miles north in Upper Ojai, at the top of Koenigstein Road. The first fire surrounded Thomas Aquinas College and was so powerful it jumped Highway 150 and began to rapidly spread toward Ventura. Meanwhile the the Koenigstein fire burned west through the hills of Upper Ojai and forced nine Ventura County firetrucks to leave the scene within two hours. 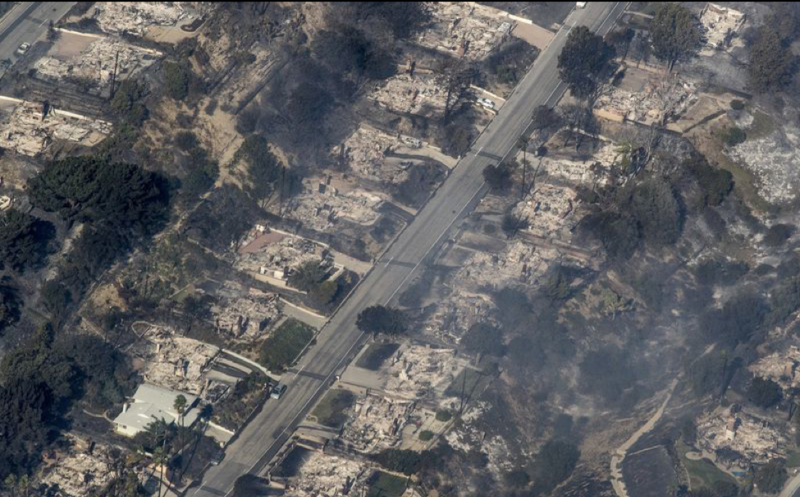 The Koenigstein Road fire quickly merged into the Thomas Fire and later that night, it reached the city of Ventura, where over five hundred residences were destroyed. To extinguish the fire required the largest mobilization of firefighters for combating any wildfire in California history. Strike teams and firefighters from nine different states assisted in the fire suppression efforts, including 171 engines, 38 water tenders, 26 helicopters, 63 hand crews, 21 dozers and 2,841 personnel. Estimated costs to taxpayers is a staggering $173 million. CAL FIRE, WERT, other fire agencies and the California Public Utilities Commission are currently investigating the involvement of Southern California Edison’s ’s utility equipment. There are reports that SCE’s construction activities caused the ignition of dry vegetation at a construction site, which set off the fire. Several weeks before the December 4 start of the fire, SCE had been working in the canyon behind the Ventura Ranch KOA Holiday campground near the Comcast satellite facility. Further, eyewitness accounts on Koenigstein Road suggest that SCE’s equipment may be faulty and have ignited the fire. At approximately 7 pm, multiple Koenigstein Road residents (including a veteran firefighter) heard a loud electrical buzzing in the neighborhood coming from SCE electrical equipment. Shortly thereafter, residents witnessed a large flash of light at the top of an SCE electric pole and the equipment exploded. Sparks from SCE’s pole showered down onto private property and caught a resident’s yard on fire. 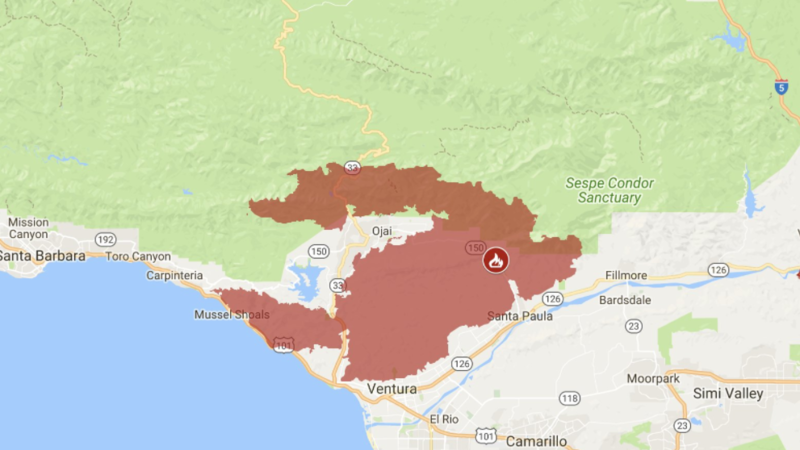 Although the full extent of the damage has not yet been determined, the impact on the Santa Barbara and Ventura county communities has been severe. Tragically, it is known that that the fire caused the deaths of two people, and the ensuing landslides caused the deaths of 21 additional individuals. The fire destroyed over 1,000 structures in Ventura and Santa Barbara counties, including 775 single family homes. The fire forced the temporary closure of schools and businesses throughout the region, displaced thousands of residents and forced over 104,607 residents to evacuate. The Thomas fire had profound effects on the environment, creating the risk of debris flows secondary rainfall on burned hillslopes. The Thomas Fire incinerated vegetation and caused landscape destruction that culminated in tragic mudslides that killed 21 people and destroyed hundreds of additional homes and structures. The community remains at great risk of injury from future mudslides and flooding. The Thomas Fire has severely damaged the local watershed and created a continuing dangerous condition. Vital vegetation and root structures responsible for water absorption during a rain event have been destroyed. The new soil layer prevents rainfall from penetrating the ground, particularly during high-intensity events. It will take 3-5 years for vegetation to re-establish itself to a point where water absorption and soil stabilization returns to the pre-burn condition. Thus, whereas before the fire, vegetation would help protect residents against mudslides and flooding, because of the fire nearby properties will be at great risk for flooding and debris flows over the next several years. If you own property on or anywhere in the vicinity of a hillside or slope, we encourage you to contact a professional to assess the fitness and safety of soil in your area. Allegations of faulty/defective equipment, negligent maintenance and negligent inspections have been made against Southern California Edison (SCE). At a minimum, it appears a SCE transformer was involved in causing the fire, as described by the loud electrical buzzing and explosion recounted by residents in the Koenigstein neighborhood. Since 2007, the California Public Utilities Commission (CPUC) has levied over $78 million in fines against SCE for electric and fire-related incidents, including 37 million for the 2007 Malibu fire. The investigation into SCE marks the second in the state of a utility this year. 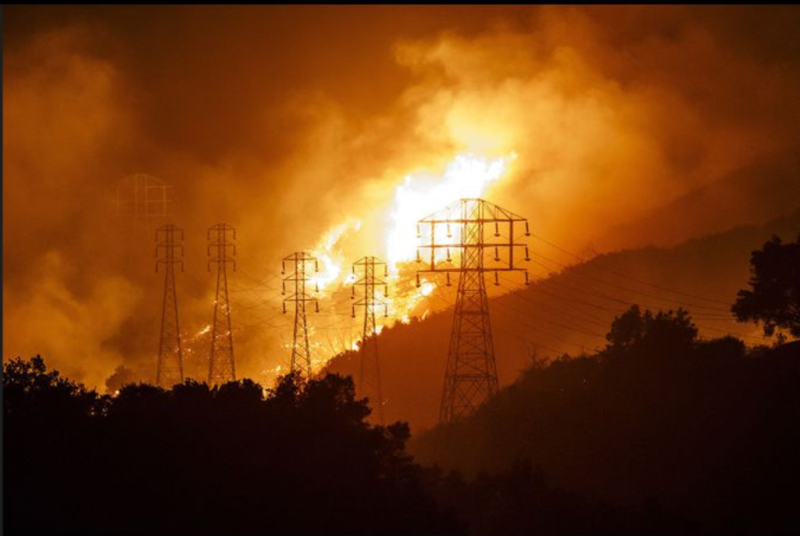 There are reports that prior to the Thomas Fire, the California Public Utilities Commission ordered SCE to inspect and repair its transformers and poles at least every five years. SCE has failed to fully comply with the CPUC order. Many SCE electrical poles are over 70 years old and are loaded with equipment, which seriously impacts their fitness and stability. The explosive failure of power lines and other electrical equipment has regularly ranked among the top three singular sources of California wildfires for the last several years. In 2015, electrical power problems sparked the burning of 149,241 acres — more than twice the amount from any other cause. If you, your family or your business were impacted by the Thomas Fire, call Walkup, Melodia, Kelly & Schoenberger today, the consultation is absolutely free. Our attorneys are already working tireless for victims across Santa Barbara and Ventura county. We have the experience and the resources to help when you need it most.